An incredible price for this Santa Rosa on the End! Over 2000sf. 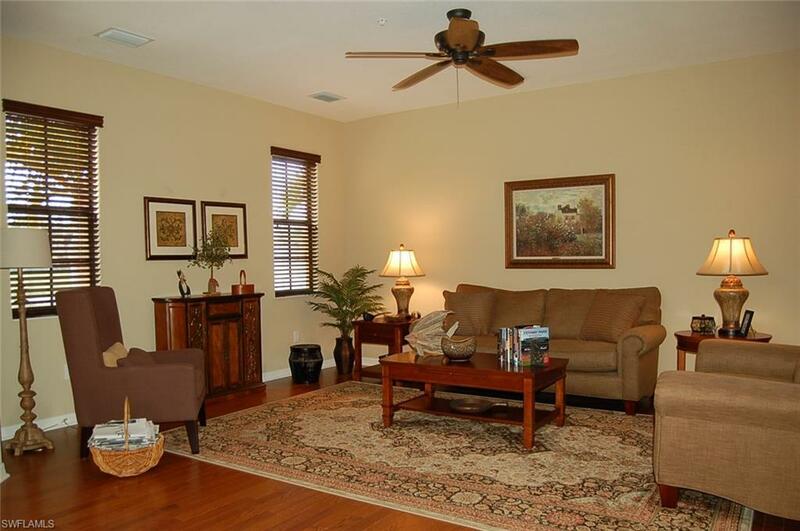 living space, upstairs are 3 bedrooms and full loft/family room, plus a Laundry Room w/tub! 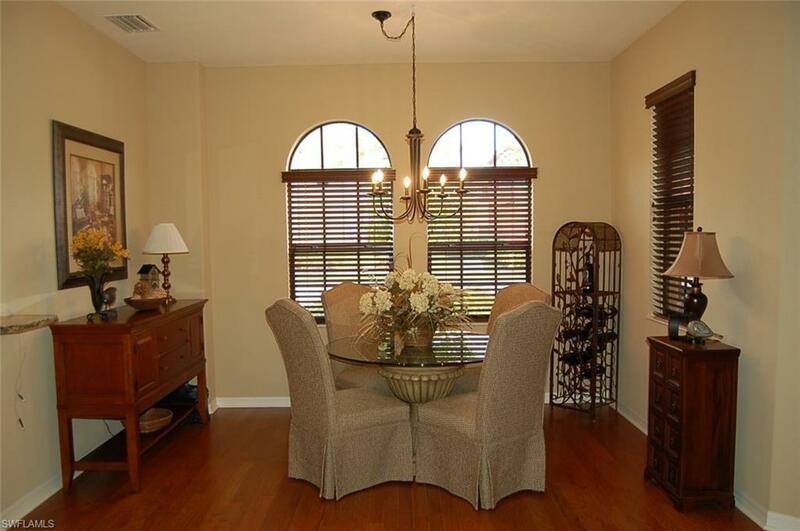 Find privacy and serenity on your private, screened in lanai overlooking the pond and fountain. The full sized Loft is great for a family, game or theater room and still have room for the desk! Large kitchen and breakfast bar, 42" upper cabinets, WIC off kitchen for pantry, there is lots of storage and plenty of room for entertaining! 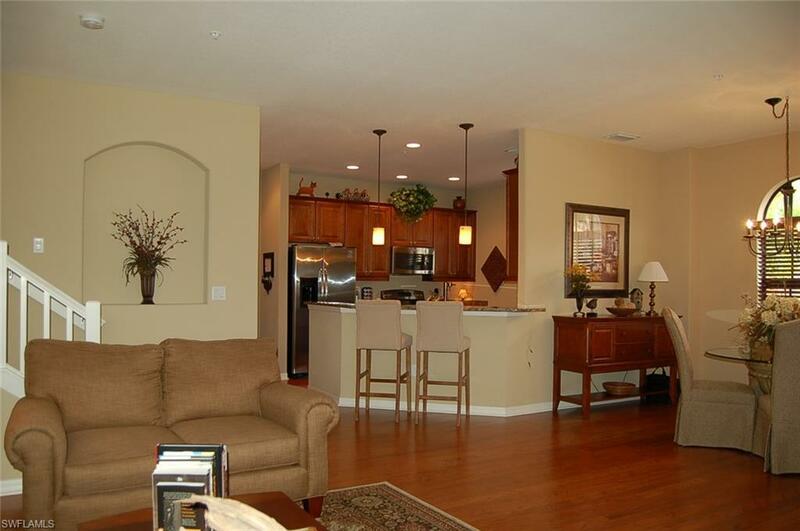 Full 2 car garage w/ direct access to kitchen. This maintenance free townhome lives like a single family home! One owner and new condition! Paseo is a neighborhood of families and friends that enjoy and covet the amenity rich community! Meet at the Tiki Bar, resort style pools for music, ice cream, movies, theater, full service salon, tennis, full gym bocce, pickle ball, billiards, there is even a fishing pier! The Town Center is an active part of Paseo living! 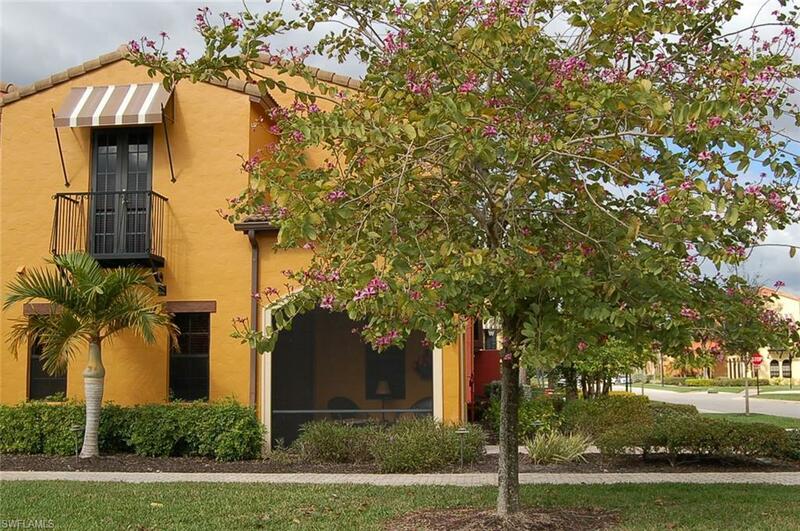 Great location close to I75, RSW, Whole Foods, Miramar outlets, shopping and short drive to Fort Myers Beach! security system does not convey. Listing courtesy of Karen Danner of Vip Realty Group Inc.